But first, we have to have the Daphne-Do seal of approval. 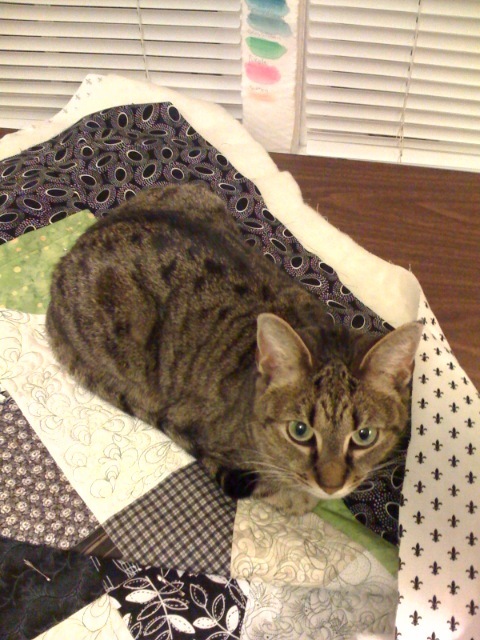 I’ve been practicing and practicing and it’s time to quilt the quilt. 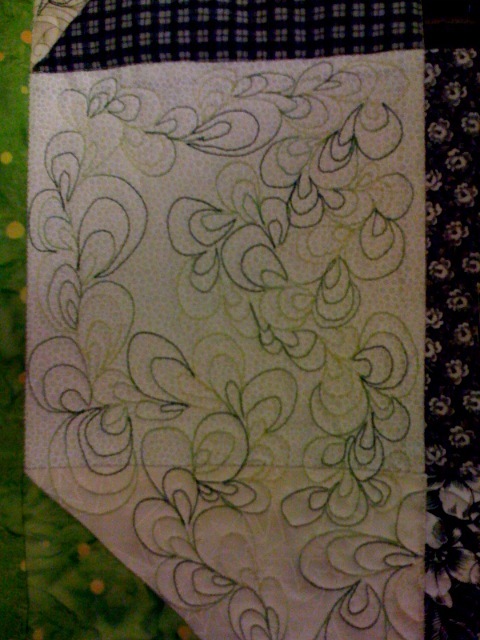 I’m using my fancy new Bernina 440 to do the quilting on my black and white and a little lime quilt. I’ve made progress with the quilting but I still have a long way to go. And, now it’s actually kind of fun. But, I must remember to stretch my shoulders and breathe and keep practicing.